Need help getting your digital photos organized, adding an app to your smartphone or updating your email contacts? 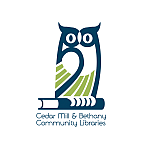 Cedar Mill Library offers drop-in Technology Open Lab twice a week. It is perfect for getting started with basic computer skills and working with devices like tablets and smartphones.Technology Open Lab meets on Tuesday mornings, 10 am – Noon downstairs by the Reference Desk and Thursday afternoons, 3-5 pm. in the upstairs meeting room. Volunteers and staff will be available to answer questions. Bring your own computer, tablet, smart phone or e-reader with you to get assistance or use one of our laptops to practice. No registration is required, but there is limited space each session. For more information please ask at the Adult Reference Desk.